We are finally done with electrical, plumbing, asbestos abatement and plaster repairs. We are moving onto carpentry and chimney, while trying to plan paint colours and fix cracks around the house, so we can keep spiders and other bugs out. Most of our home improvements so far have been geared towards preventing problems and improving safety, and cosmetic fixes have been relegated to the bottom of the list. It makes a lot of sense, and some rooms, particularly the fully pink tiled bathroom (I mean floors, walls, ceiling) are growing on me, but a lot of the time it drives me a little crazy. So I'm trying to go around and make things a little better. I'm also trying to keep up with crochet, since I'm at the stage where if I don't do it every day or so, I feel like I completely forget how it's done. 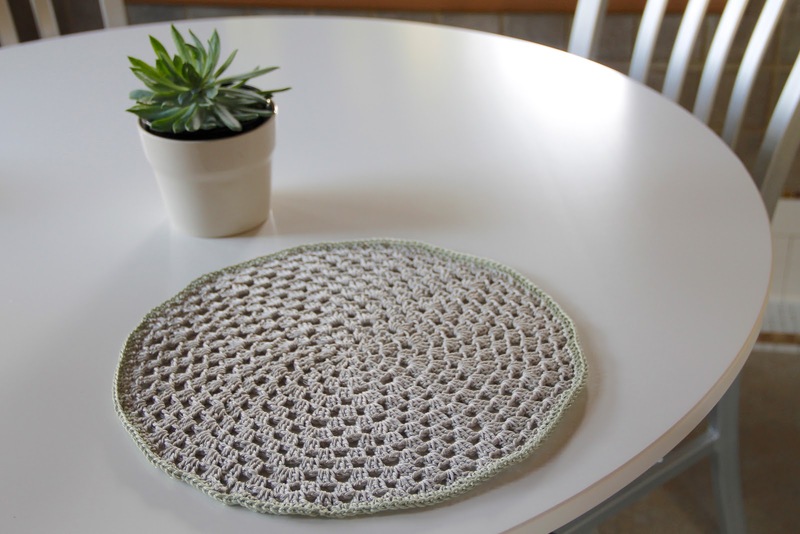 It's not the first time, and definitely not the last that I'm turning to Purl Bee for inspiration, and I'm so trilled with these placemats. We have a cute little breakfast nook in the kitchen, which gets the morning light, and we bought the Ikea white tulip table for it. 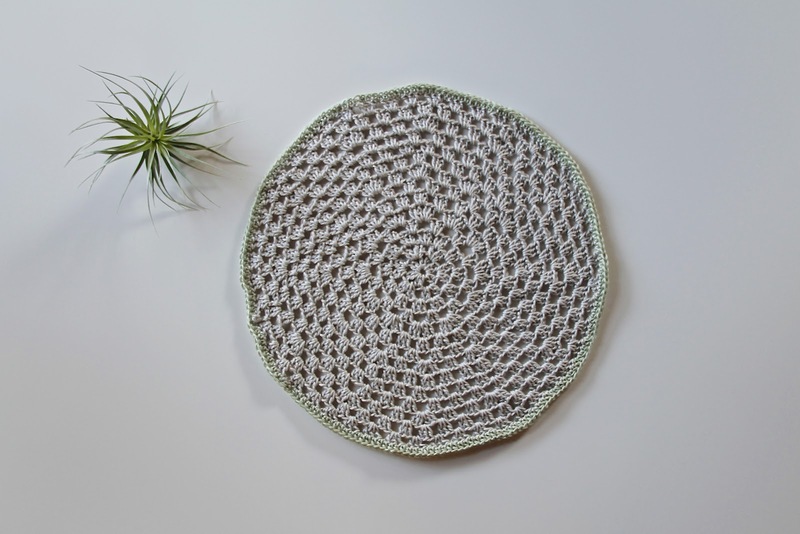 I wanted to protect the surface when we eat and was looking for round placemats but couldn't find any that I liked. 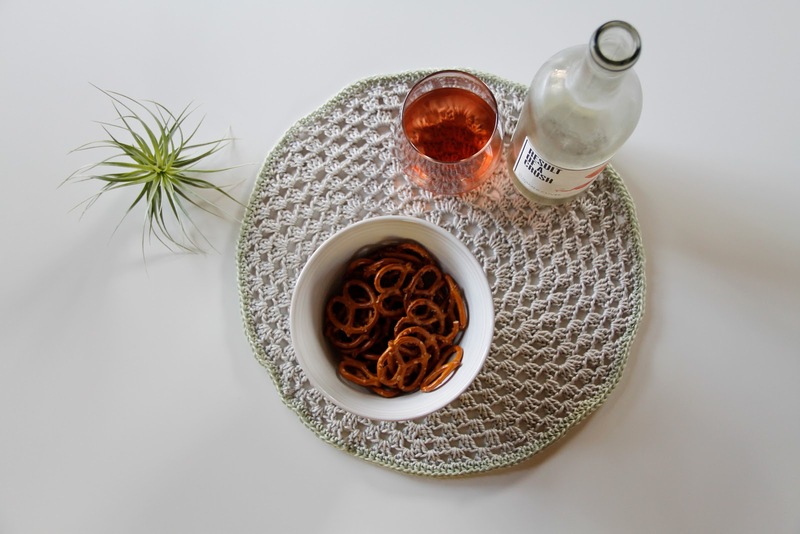 The Granny circle placemats look great on our table, perfect for breakfast or for a late afternoon snack, my go-to these days being rosé and pretzels. I made two so far and I'm hoping to add two more, solidifying my crochet technique while doing so. 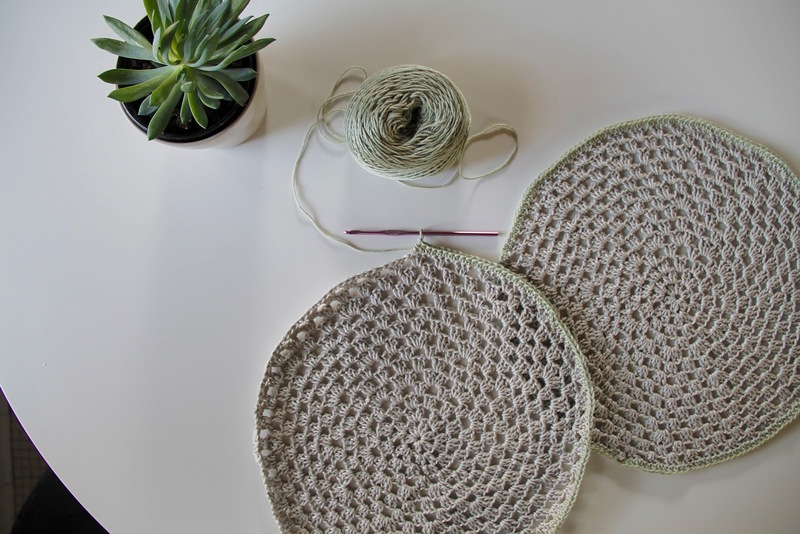 The contrasting border really gives the placemats a nice finish, and I chose to keep mine in soft cool tones, which is what we are moving towards as a palette for the house.